Bookmasters (ブックマスター, Bukkumasutā?) are Emblem Heartless that appear in Kingdom Hearts II. They are close relatives to the spell-casting Heartless such as Crimson Jazz. Like their predecessors, Bookmasters first appear in Hollow Bastion. There is a small chance that defeating a Bookmaster will reward Goofy with the Akashic Record weapon. A more powerful version of this Heartless, called the Runemaster, appears in the Cavern of Remembrance in Kingdom Hearts II Final Mix. A Bookmaster is a rather small Heartless that wears long robes that cover its feet. These robes are predominantly green, with a yellow collar, white highlights, and a blue bottom. It also wears a tall, cylindrical, green and white hat and what seem to be orange gloves. The only part of the Heartless not covered by clothing is its blue, spherical head and yellow, glowing eyes. All Bookmasters hold a book known as the Akashic Record. In Kingdom Hearts II Final Mix, a Bookmaster wears predominantly yellow robes with an orange collar and brown patterns decorating them. Its hat is yellow and brown, and it carries a differently-colored version of the Akashic Record. 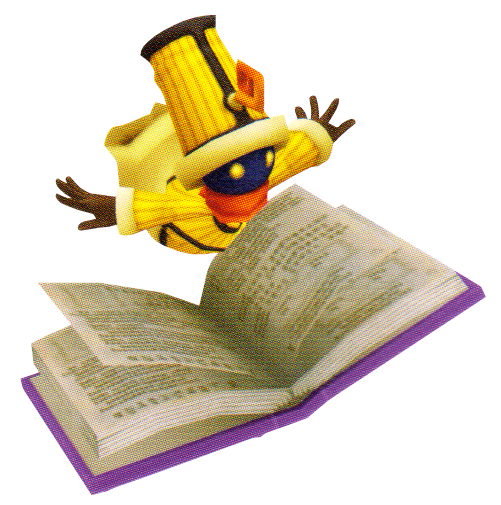 The Bookmaster's name is a reference to the spell book it carries and fights with, and its skill in using it. The Bookmaster is immune to all magic attacks excluding Reflect and Magnet. It attacks from a distance using Fire, Thunder, and Blizzard. Using Reflect or Guard to defend these attacks is a good strategy; if Sora has Reflega, it can take out several Bookmasters at once. They can also hit Sora with their book, which is hard to deflect. Their magic hits from quite a distance, so it is best to use physical attacks. A Bookmaster as it appears in Space Paranoids.